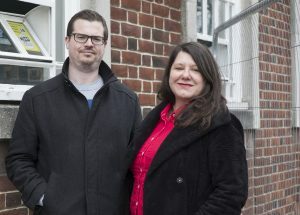 Labour’s two candidates in Church Ward, Ashley Pearce and Ruth McEwan. On Thursday May 3rd, local elections will be taking place across Reading including here in Church Ward. This is your chance to send a message to the Government to end their reckless Austerity regime. This Government has presided over real terms pay cuts to our teachers, police officers, nurses and care staff. This has seen fewer teachers in our classrooms, the worst winter performance in A&E at the Royal Berks and fewer police officers patrolling our streets. 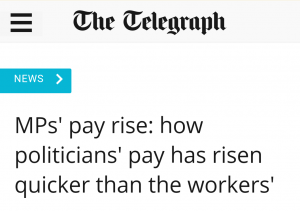 All this whilst the national debt has rocketed and real wages across the country have fallen. Austerity has failed and it’s time to change. Here in Reading we have seen our Council’s budget from central Government cut by over 90%, stretching our resources to breaking point. The huge majority of your Council tax money goes on caring for our elderly, schooling your children and looking after the most vulnerable in society. It is becoming increasingly difficult to do this with the Government’s severe budget cuts to Reading, whilst wealthier Tory run Council’s such as West Berks and Wokingham see smaller cuts. There are many other things we would love to do as a Council but this Government is making it impossible. Reading Council still has much to be proud of over the last few years, with a successful school expansion plan including Reading Girls School and Ridgeway Primary here in Church Ward, the works to develop the new community hub on Northumberland Avenue with the relocated library, café and meeting spaces, Academy Sport has seen its facilities upgraded and funding for Green Park station secured. We want to do more but we need a Labour Government to achieve this. Use your TWO VOTES on Thursday May 3rd to elect Labour’s Ashley Pearce & Ruth McEwan. This entry was posted in Opinion on March 29, 2018 by Ashley Pearce. 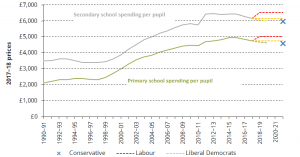 Council research shows the projected surplus of 60 year 7 places in 18/19 becomes a deficit of 190 in 19/20. An extra eight form entry school sufficient to accommodate 240 pupils will suffice through the 2020’s. So only one school is needed. The council is currently planning for this. Several sites for the school have been identified and a bidding process will shortly be started to find an academy sponsor. Before the opening of this school agreement has been reached with five local secondary schools to take sufficient extra bulge classes. These must be thanked. It is the process here I’d like to focus on. I’ve been a teacher for ten years and a Governor for five years. I’ve met many parents and I’ve never encountered one who has asked or cares about who runs their school, they just want the best for their child. 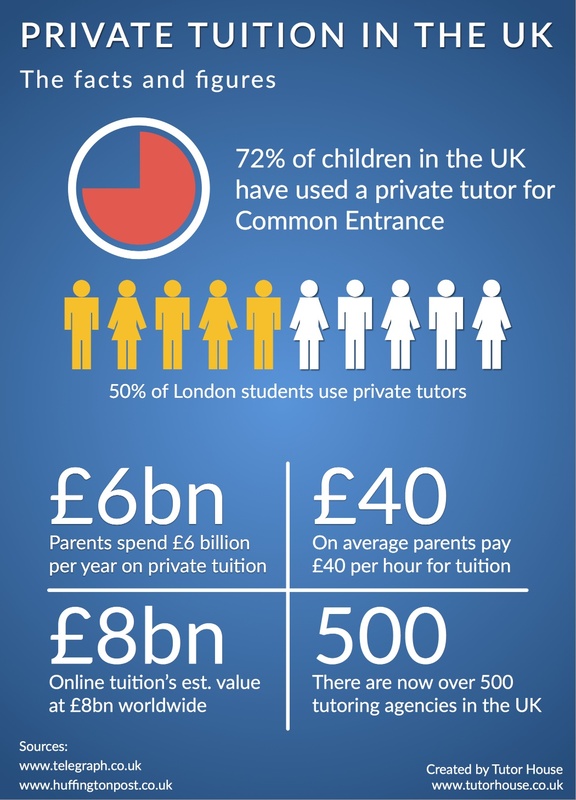 But this is where the Tories fragmented education system comes in. The new school cannot be run or administered by the local authority. All new schools must be academy run. We, as elected officials, and who parents hold to account, have no say in who gets to run our children’s schools. This is despite the fact that last year, 93% of local authority schools were rated good or better by Ofsted compared to 33% for academies. So who does choose the academy sponsor then….? The academy sponsor is chosen by the Regional schools commisoner. Never heard of them? Well, that’s probably because our one for the South East, spans an area from Milton Keynes, half of London and across to West Berks. It includes hundreds of schools and there is no way, however good the member of staff, they know and can relate to the schools and areas. They also have a huge remit, from taking action on underperforming schools to finding sponsors. Residents will never meet them but it is these people who hold the responsibility of helping schools. Our new school will be under their remit too. Lastly, the location of this school. Reading Council and Cllrs know the area and where the need is, so we decide right? Of course not! This is decided by the Department of education, suits in Whitehall with spreadsheets! We can recommend and research areas, but the final decision is not ours. 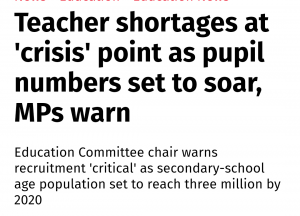 But when it goes through planning, are the Dfe present to discuss? Of course not. All parents want is the best education for their child, and I wholeheartedly agree. But the local authority is being given less and less chance to make this happen. Cut funding, mix up accountability, split school systems and then what? Privatise? We shall see. This entry was posted in Opinion on February 28, 2018 by Ashley Pearce. Reading Borough Council unanimously (all parties, all Councillors) agreed a motion put forward by me in January asking for Councils to be able to borrow to build homes and that all right to buy receipts should be kept to reinvest in housing stock. As expected from this Government, no real response with smoke and mirrors leaving our housing crisis to get worse. Also not a surprise that housing Secretary Sajid Javid, doesn’t really care about Reading’s housing crisis. This is a man who was a director of his brothers £11m buy to let company and who is a landlord himself, he plays an active role on restricting housing supply. His voting record also shows he voted to phase out secure tenancies for the very poorest and voted against a bill that would have ensured properties were fit for human habitation. The response is short, non specific and dismssisve, much like Tory housing policy. “Local authorities will be able to bid for increases in their caps”. 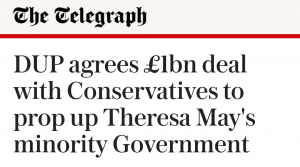 Translated, we’ve kicked this into the long grass and we may help out some of our Tory mates in Surrey. “An additional £2bn to deliver more affordable housing at social rents”. Not quite what Housing Minister Dominic Raab said this week on his “ultras” WhatsApp group when he called for all social housing to be sold off. 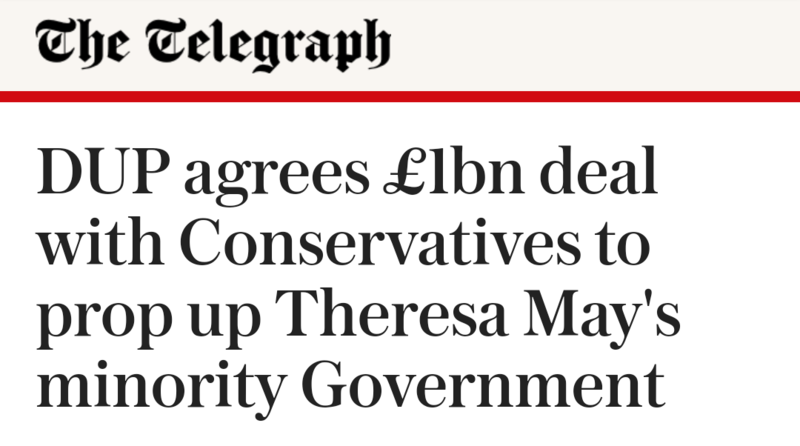 “You also proposed that local authorities keep all of the money received from right to buy”. At this point the response may as well say F off. But the Tory record on right to buy record is pretty appalling, between July 2016 and June 2017, 12,383 were sold but only 4813 were built. Or in other words, a 62% loss in affordable social housing. The house price bubble suits the Tories, it suits the landlords amongst them and all of their landlord friends. The entire economic house of cards is built upon the inflated prices remaining high. They have no real interest in increasing the supply via building social housing, ending land banking or speeding up planning permission. Only Labour will do this. Every Tory policy is all about increasing demand (Help to Buy, Cutting stamp duty, help to buy ISA). 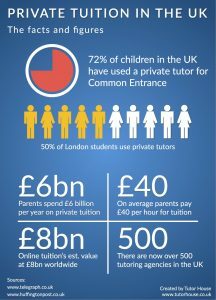 This may help a few of the current generation get on the housing ladder but more importantly keeps the bubble in tact. A 1945 style approach to our housing crisis is needed, and Jeremy Corbyn will provide it. This entry was posted in Opinion on February 21, 2018 by Ashley Pearce. 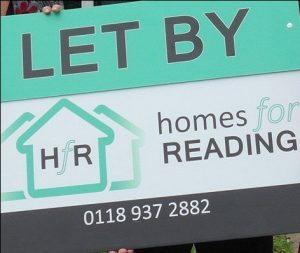 The Councils new homes for Reading company is helping but Central Government action is required. 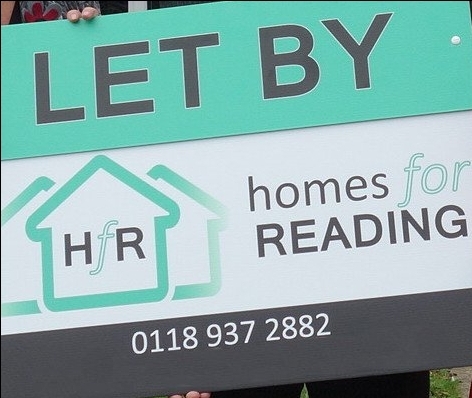 The earnings to house price ratio in Reading is now 10:1. 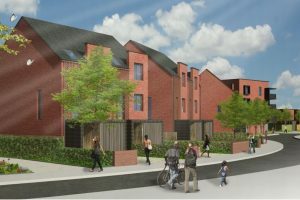 Reading Council is doing all it can to ease the housing crisis with the Homes for Reading company and the building of new Council houses including at Conwy Close. Allow Councils to borrow to invest. To keep all of the money received from the sale of homes on right to buy. I hope that this is able to gain cross party support as it is an issue in Reading that needs urgent action and spans party political lines. It supports a local Government campaign (again, cross party) that calls for local Councils to be able to borrow to build and help us solve our housing crisis. The number of first time buyers has dropped by nearly 250,000 in 20 years, the average age of home ownership has risen and the deposit needed is now somewhere in the region of £50,000. Without the bank of mum and dad, many people are unable to even entertain the idea and have simply given up on the prospect of home ownership. This has led to many people moving out of the area all together. For someone that has spent all of their life in Reading, seeing people having to up sticks due to housing costs is deeply saddening. The tinkering in the budget was not enough, the crisis is now and needs immediate action to remedy it, not vague promises and targets that are tied to some artificial goal post. If Councils were able to borrow to build homes, for real people and families, not buy to let landlords for profit, then a future revenue stream or asset sale is created for the Council. An asset is on the books and welfare bills fall from lower housing benefits and B&B accommodation. It really is a win win situation. The Conservative leader of Norfolk district Council John Fuller said after the budget that the opportunity to “Fully lift” the cap on local authorities ability to borrow and build has been missed. I hope that he is wrong, that this motion will pass and that housing Minister Sajid Javid will press for this change and help the residents of Reading. This entry was posted in Opinion on January 20, 2018 by Ashley Pearce. 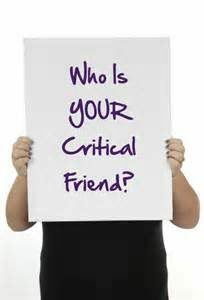 A critical friend isn’t that person that always criticises your dress sense or tells you that you are drinking too much, this is the phrase most often used to describe a Governors relationship with the schools they govern at. A quick recap on the role of Governors. They give up their time for FREE because they have a sense of community and wish to help. Last year the Government floated the idea of getting rid of Governors in academies but quickly back tracked when they realised the leafy shires may rebel. They have also made it more difficult to become a Governor, inflicted more paper work and created more hoops to jump through. Yet still people do it. Governors oversee the running of a school, from appointing heads to authorising exclusions. It is a big responsibility made more difficult be the Government every week it seems. I recently became chair of Governors at one of the Primary Schools in my ward. As a teacher in my day job, I cannot advocate enough the CPD (career and professional development) this provides. Far better than paying an expensive consultant or toddling off to a course, go into another school. Talk to other teachers, see what happens and listen to everyone involved. Since I have been a Governor at my school, we have been inspected, so have had “cosy” chats with Ofsted, we have expanded so we have met with the Local Authority and most importantly, we have been running along, as a school does, as usual. The biggest change in the last year has been the proposed and now staggered introduction of the new school funding formula. This formula has been mooted to change for years and there are good arguments either side, but its implementation has been a mess. Within two years all money for education will go directly to the schools. Good you may say, keep those meddling local bureaucrats away from messing it up. But that does negate the ability of collective buying and costs saving. It does negate the ability for a local authority to plan provision. And possibly most importantly, what if it goes wrong? What if a poor head is appointed or there is just bad decision making. 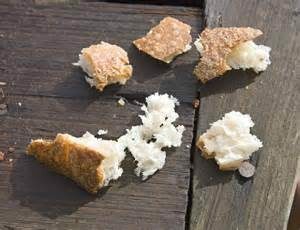 Well, then it is left for the Governors to try and scoop up the mess. There are other big issues with the funding changes. 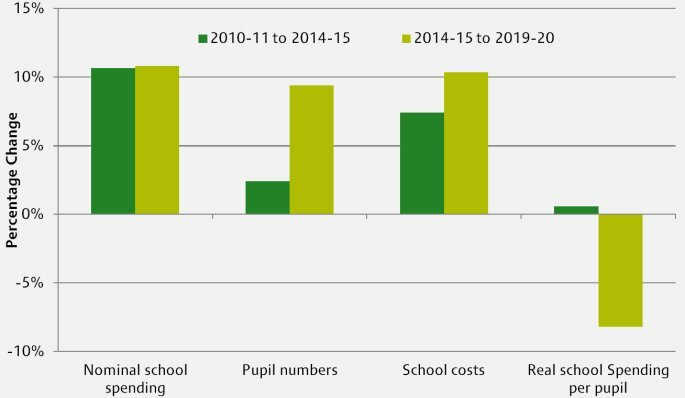 Funding depends on a myriad of things: pupil numbers, deprivation funding, Pupil Premium Grant, numbers of students with education health and social care plans, in year pupil movement and pupils being there on census day to name but a few. All of these things take paper work, admin and planning. 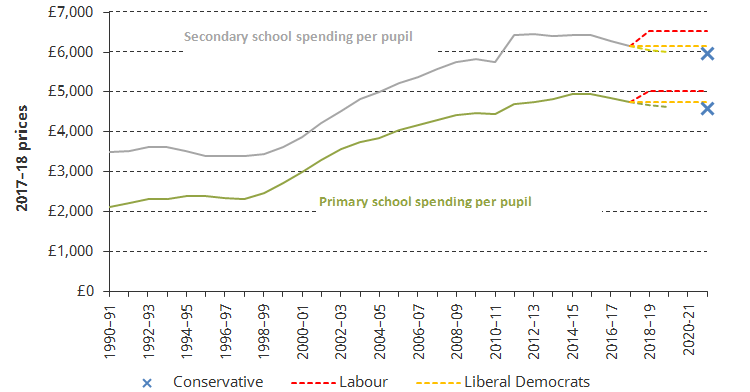 Just the things that schools have had to cut back on since the Government has cut funding. 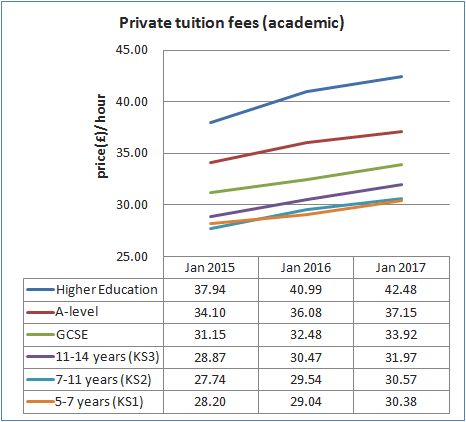 On a side note, funding has categorically been cut, the “record levels of funding” argument a huge deceit when cost rises and pupil numbers have been taken into account. But all of these issues pale into comparison when you go into school for Governors meetings. Because at 8am meetings or 7pm meetings, I see the dedication and professionalism of the teachers in school. I see teachers singing songs to year 3’s, I see teachers calming down the student with anger issues in year 6 and I see good teaching throughout. 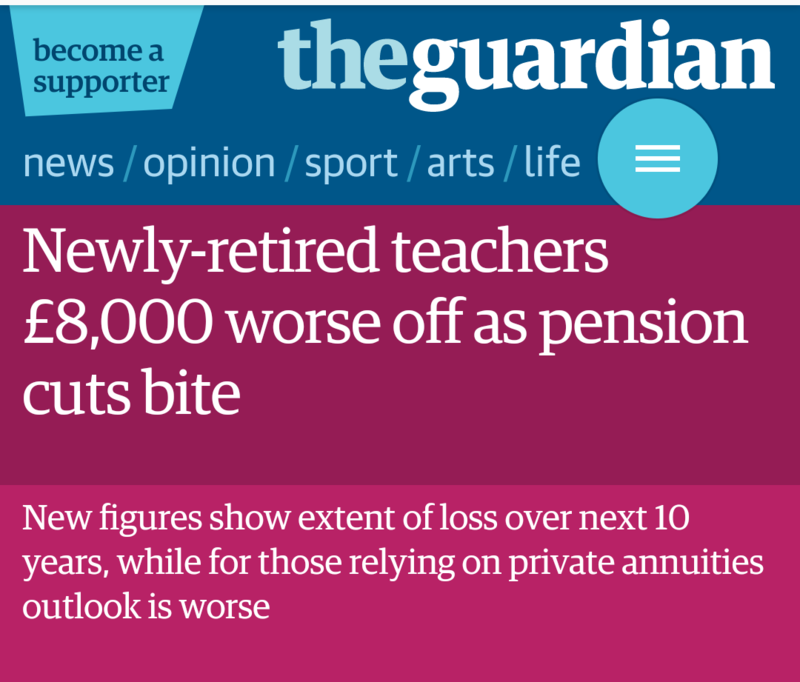 This in the face of 7 years of pay cuts, struggles to recruit and redundancies. It is a Governors role to ask questions of the school they govern, and that of course is right. But I would also argue it is to question the Government that has made it so difficult to do so. This entry was posted in Opinion on November 10, 2017 by Ashley Pearce. I recently received a letter from Reading West MP Alok Sharma after I had emailed him as part of the NASUWT campaign on school funding. There appears to be a big disparity between Alok’s words and his actions, so I thought I’d have a go at translating. He starts by saying “I am enormously grateful for the work they do to ensure children have the best chance to succeed in life”. What he probably meant was, I’ve consistently voted to cut your pension. Mine’s gone up. 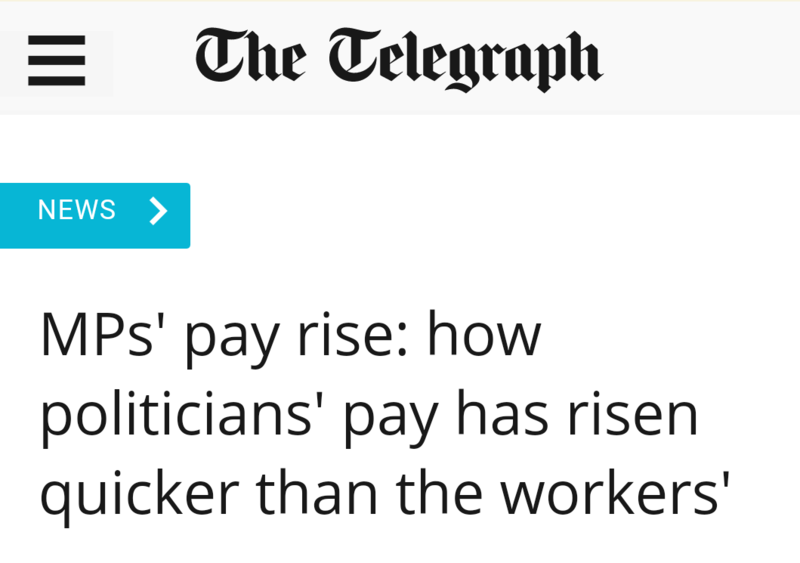 On teachers pay he says “The recommendations are consistent with the Governments 1% public sector pay policy”. What he probably meant was, I’ve consistently voted to cut teachers wages. Mine have gone up. Alok says he wants fair public sector wages “while balancing this with being fair to other taxpayers”. What he probably meant was, we spent £1bn to cling on to power, cut taxes for the richest and most powerful. On teacher numbers Alok says”Im encouraged that there are more teachers in our schools than ever before”. By this point I think Alok had just given up….. This entry was posted in Opinion on October 23, 2017 by Ashley Pearce. This entry was posted in Opinion on September 24, 2017 by Ashley Pearce. This entry was posted in Opinion on July 30, 2017 by Ashley Pearce. This entry was posted in Opinion on May 9, 2017 by Ashley Pearce. Reading East MP Rob Wilson thinks “it’s not his job to stand up for Reading Borough Council”. The man who continually puts his parties interests above those of Reading residents will presumably continue to do so. It is Mr Wilson and his party who vote through cuts to Reading Council that will see its funding fall from £53m a year to £2m, a £185 cut per head of the population compared to just £116 in Mr Wilson’s favoured Wokingham. Mr Wilson denies these budget cuts are even happening, and claims that school budget pressures “aren’t about budget cuts”. Were Caversham Primary lying when they asked parents for £190 each to plug their funding gap? He says 90% of that schools budget is taken up by wages. But the average salary of a teacher is under half of what Mr Wilson earns, and teachers don’t get to claim lavish expenses like he does. Teachers have also faced a year on year pay cut since 2010, not getting to vote through an 11% pay hike as Mr Wilson did for himself. This entry was posted in Opinion on March 14, 2017 by Ashley Pearce. Reading Council is facing unfair and unprecedented cuts in its budget in the next few years. The revenue support grant that funds Councils from central Government is to be cut by 92% over the next 4 years. This leaves the Council over £5m worse off than expected, and with £100m slashed from the budget from 2011-2020, this is around a third of the Council’s overall budget. Meanwhile inflation has raised Council costs, National insurance contributions have gone up and demand for many statutory services has risen. Reading’s Labour Council has continued to strive to improve the lives of residents despite these cuts. A School expansion programme has provided desperately needed new school places, the award winning Council owned and run Reading buses continue to provide low cost transport and the Council will soon be building the first new Council houses in years to add much needed housing to the town. But these things are becoming increasingly difficult to do. Services the Council has to legally provide such as schools, adult social care and refuse collection take up around ¾ of the Councils budget. The lower the Government funding to Council’s goes, the less money we have for things we’d like to provide for residents such as parks, leisure and pot holes. Reading’s two MP’s consistently vote for these cuts, it’s about time they stood up for Reading residents and not their own parties interests. This entry was posted in Opinion on January 26, 2017 by Ashley Pearce. At the Full Council meeting this week the issue of schools is to be discussed, regarding funding, curriculum changes and school structure changes. I have been a teacher for nearly ten years and before that spent two years as a teaching assistant. I am also on the ACE committee which takes in education & children’s services, a Governor at a local Primary school and Union rep at my school. I meet and know a lot of teachers from many different schools. 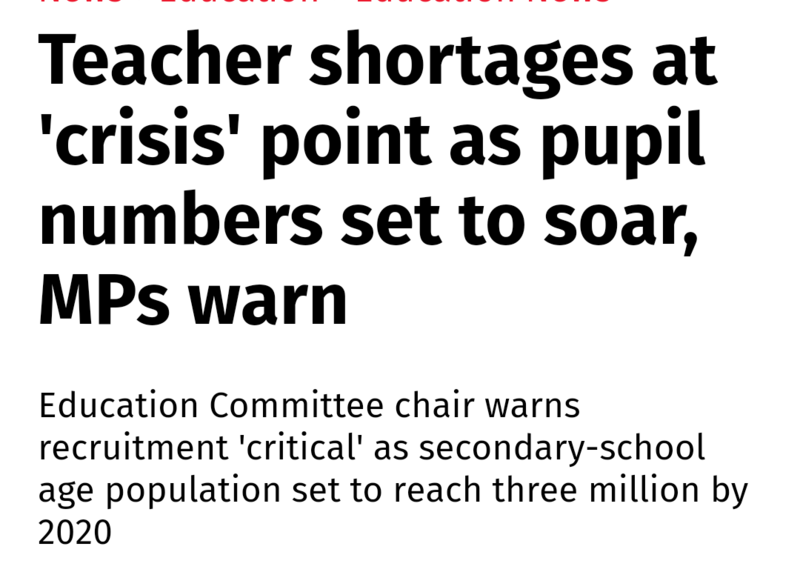 Not once have I heard any teacher ask for Grammar schools to be brought back, teacher training budgets to be slashed or for class sizes to rise to help improve education in this country. I do meet a lot of teachers who are fed up. Fed up of pay cuts (as I’m sure is much of the country), fed up of school budgets being cut, fed up of meddling from bureaucrats on everything from Sat’s tests to costly academy conversion, fed up of a constantly changing curriculum and assessment methods, and fed up of an ever increasing workload. 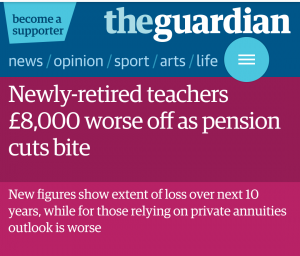 If the Government really wants to help, treat teachers like the professionals they are, trust us and let us do what we do best which is to teach young people and improve their life chances. This entry was posted in Opinion on October 26, 2016 by Ashley Pearce.